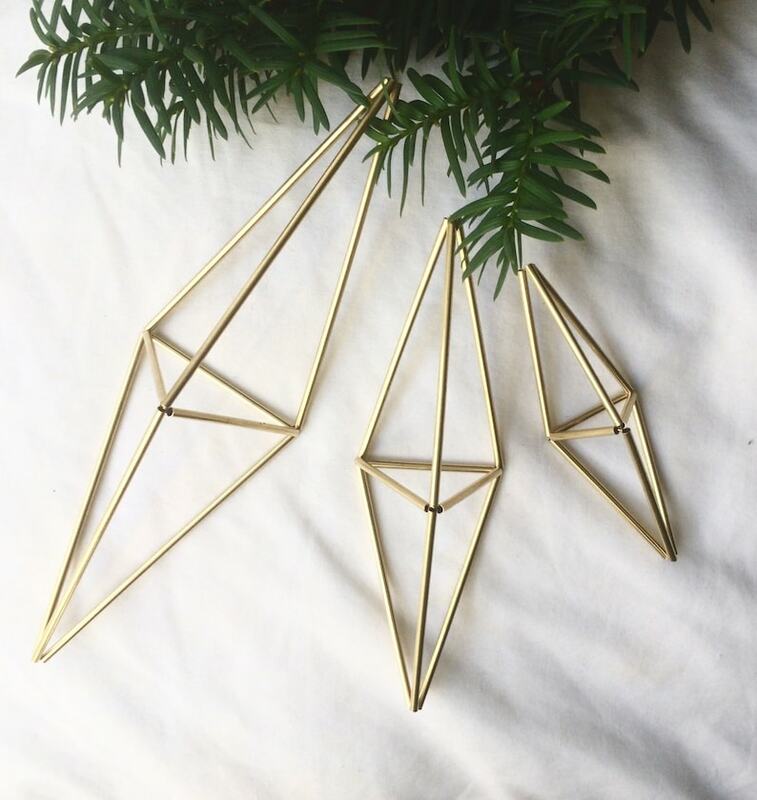 Set of 3 minimalist prism ornaments based on traditional Scandinavian himmeli mobiles. Available in brass or silver. Hang together, or individually - on your Christmas tree, Ina nursery or in your house all year round. Their silhouettes constantly shift as they spin, casting intriguing shadows. YOU WILL RECEIVE 3 ORNAMENTS. Originally himmeli mobiles were made from rye straw and hung over the dinner table to ensure a good harvest. These himmelis are made out of metal so they can last for many holidays to come.